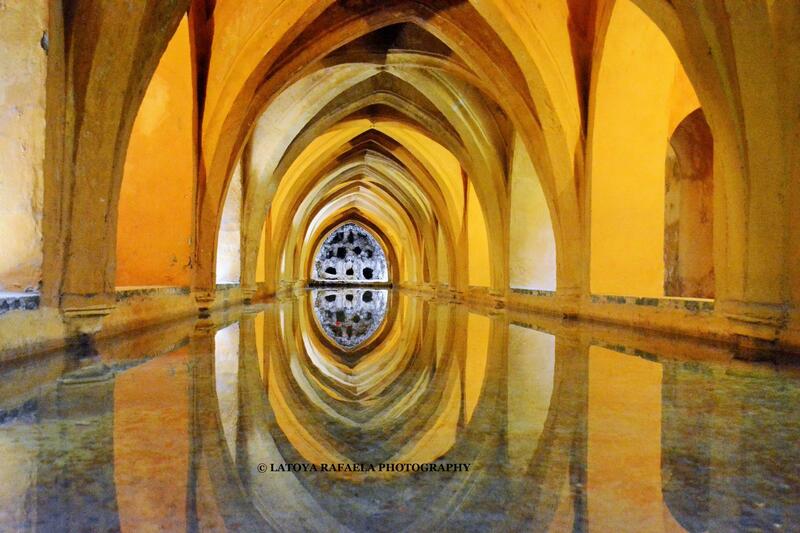 Sevilla, located by the banks of the river Guadalquivir in Andalusia. It’s one of those cities that you might not think of to visit, but surprises you when you do. It has the largest historical centre of Spain. The long presence of the Moors, left permanent imprints on this city and many constructions in the city centre are part of World Heritage today. 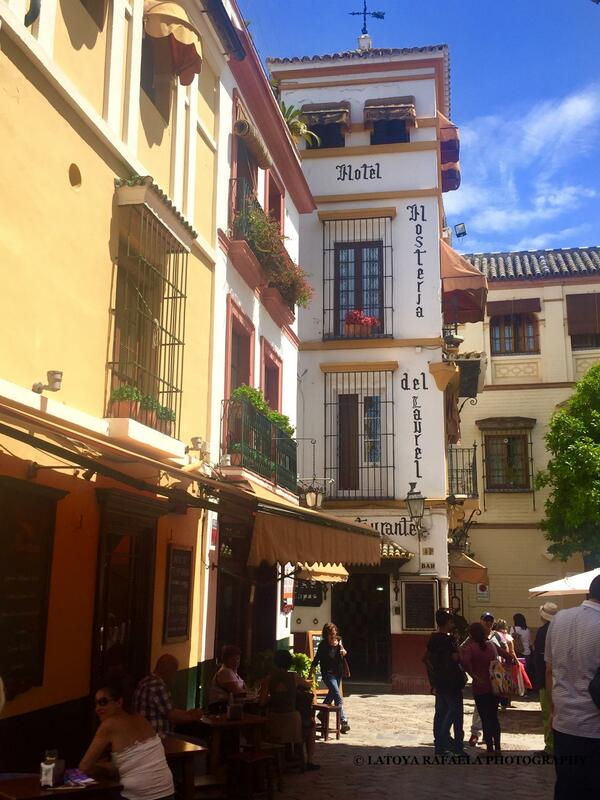 You can spend days wandering around in Sevilla and not get bored. Not only cause of the many wonderful buildings to see but also because of the lively atmosphere, great restaurants and lovely bars. Check out my list of 7 wonders for your weekend away in this beautiful city. 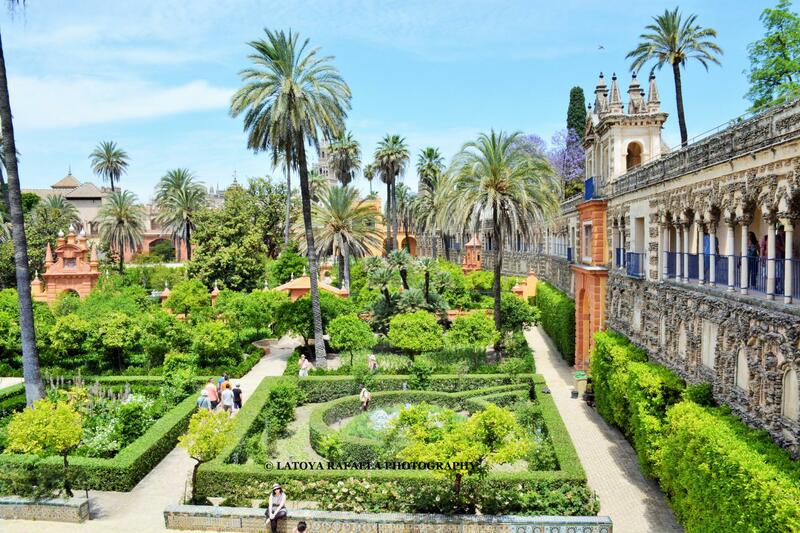 The Royal Alcázar of Seville is probably the most impressive monumental compounds in the city or even in the country. It is used as location for many films and recently also for the hit series Game of Thrones. 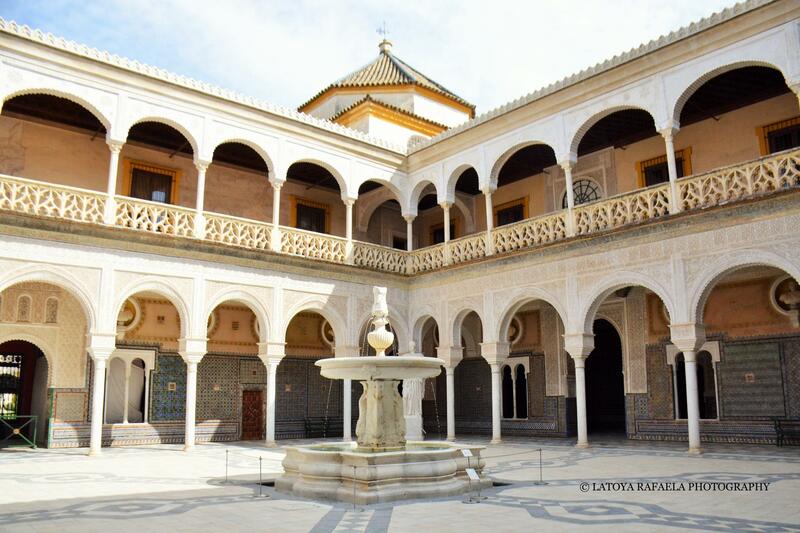 The palace is a great example of the Mudéjar architectural style, but it has some Islamic, Gothic, Baroque and Renaissance elements in it as well. You can feel the historical evolution of the city that is held within its walls and gardens. Though the construction of the current Royal Alcázar began in the 14th century, the remains of the originally Moorish fort, dates all the way back to the year 914. The royal palace is the oldest royal residence in Europe that is still in use and is registered by UNESCO as a World Heritage site. It has 7 hectares of gardens and 17.000m2 of buildings, safe to say you can easily spend a full day wandering around inside these walls. Book tickets in advance to avoid standing in line! 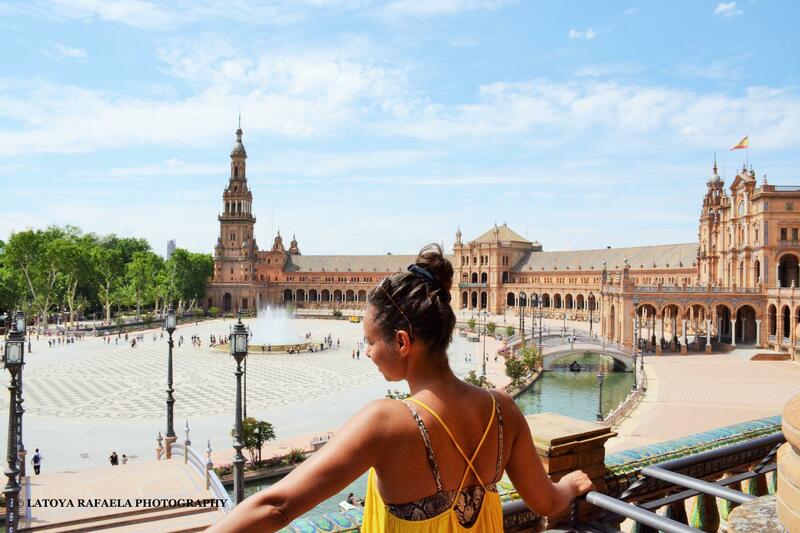 Situated in Park de Maria Luisa you can find the beautiful Plaza de España. It was designed by the architect Anibal González for the Ibero-American Exhibition in 1929. The semi-circular building in renaissance/neo-Moorish style, has a 500 meter canal in front of it that follows its curve. Four bridges, that represent the four ancient kingdoms of Spain, cross the canal. 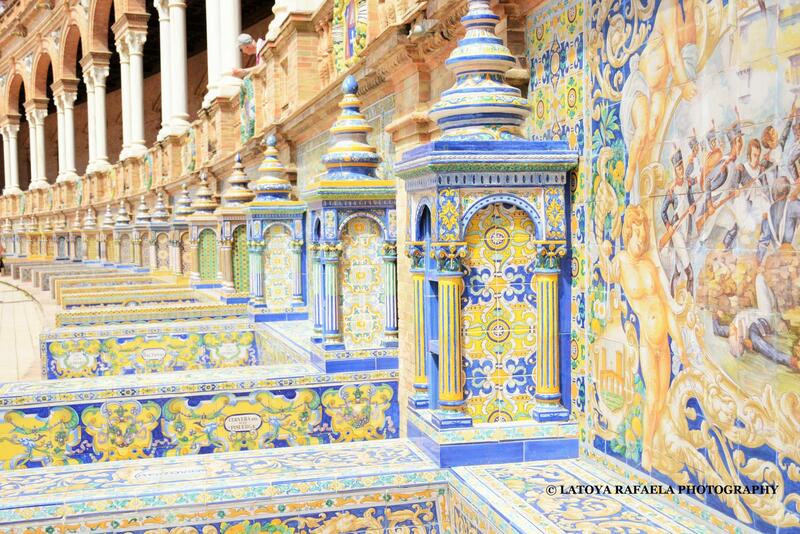 In the centre you find the Vicente Traver fountain and by the walls of the Plaza are 48 tiled alcoves with benches. Each of them represent a different province of Spain. A large tower on the north and south side of the building can be seen all the way in the city and are major landmarks. This impressive Plaza is definitely worth paying a visit! 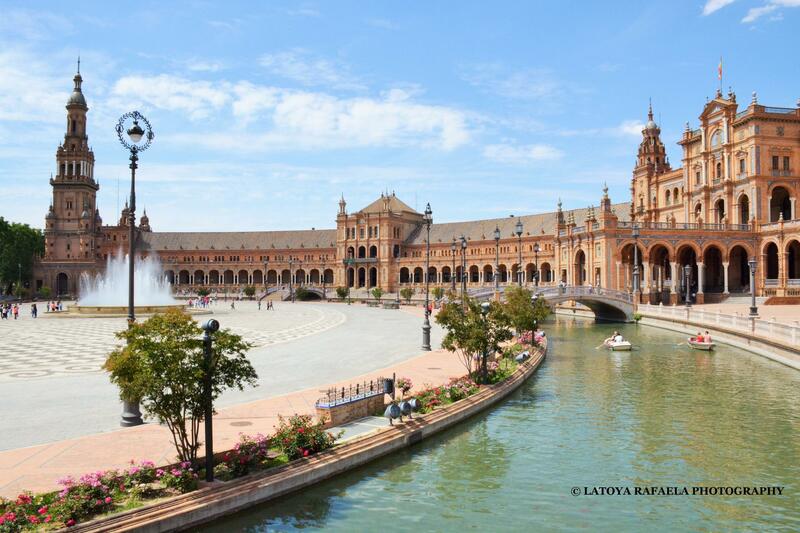 Go there early in the day cause the temperature at Plaza de España are measured the highest in Europe during summer!! Catedral de Santa Maria de la Sede is registered by UNESCO as a World Heritage site and is the largest gothic Cathedral in the world. Back in the 12th century, it was a Moorish mosque. Some of the old details of the mosque can still be seen. Such as the Patio de los naranjos, Puerto del Perdón and the most important thing: the Minaret. 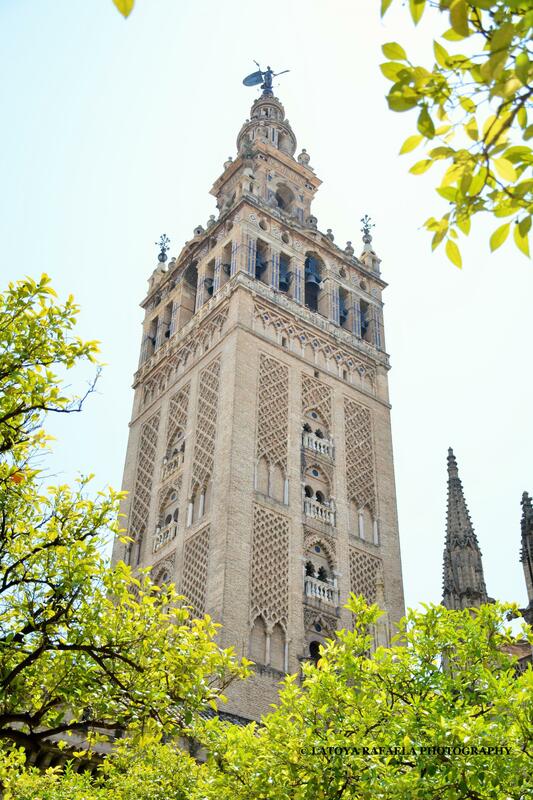 The Minaret was converted into a bell tower known as La Giralda. It’s 105 meters high and can be climbed all the way to the top, where you can enjoy a beautiful view over the city. 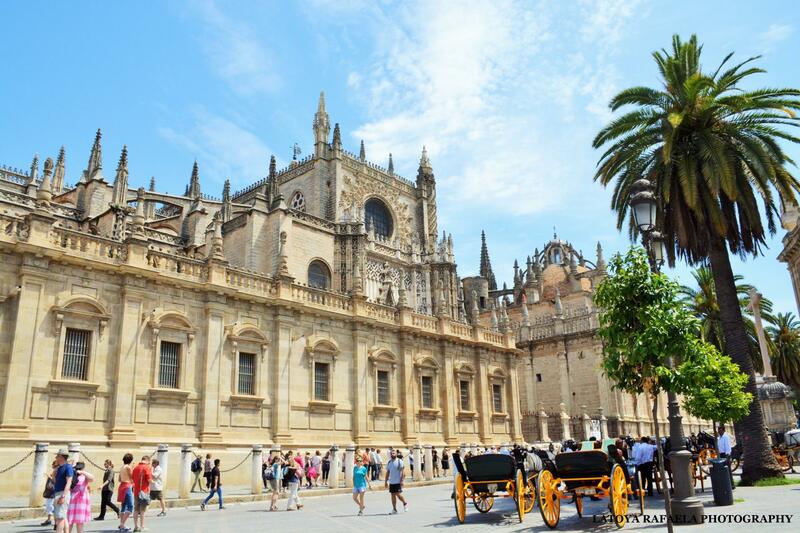 The cathedral is a must see when you visit Sevilla! 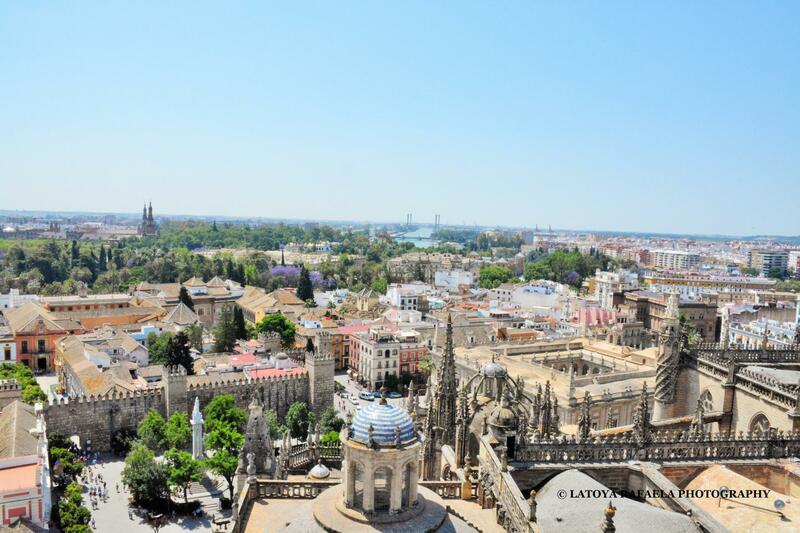 Interesting fact: Christopher Columbus and his son Diego were buried inside the cathedral. 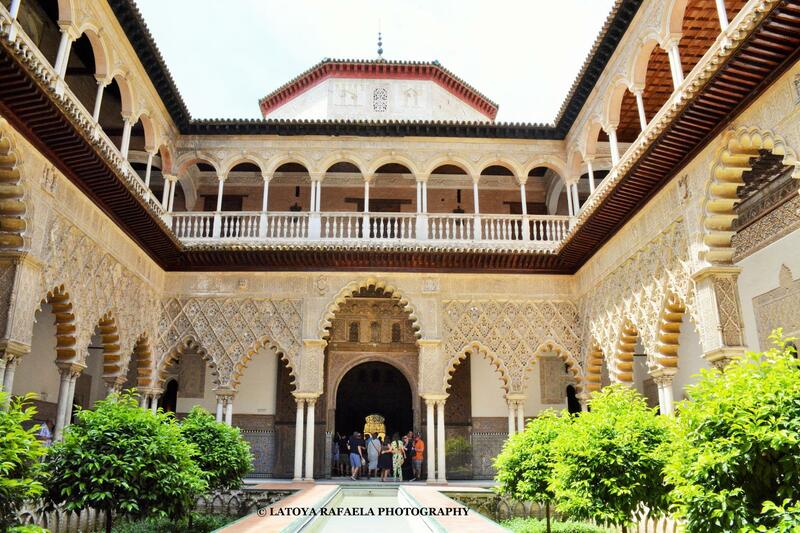 Another beautiful Andalusien palace that you should visit. 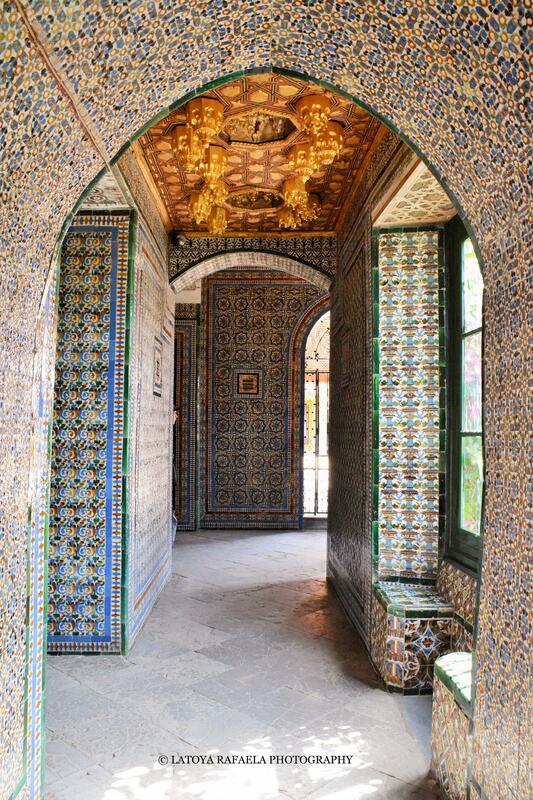 The building, located in the neighborhood Santa Cruz, is a mixture of the Italian Renaissance and Spanish Mudéjar styles. The construction of the palace dates back to the late 15th and early 16th century. Nowadays the palace still residents the Dukes of Medinacelli. 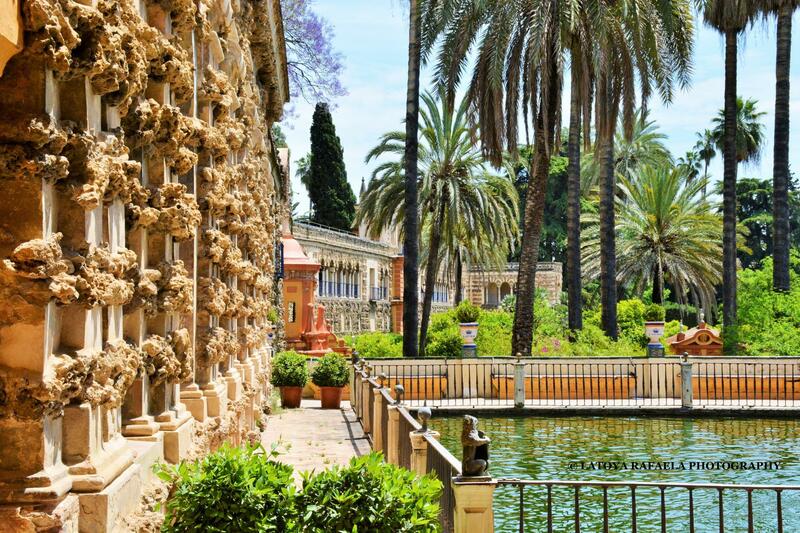 The Palace has a beautiful courtyard, a stunning staircase decorated with Azulejos tiles, lovely quiet gardens, gorgeous ceilings and much more. 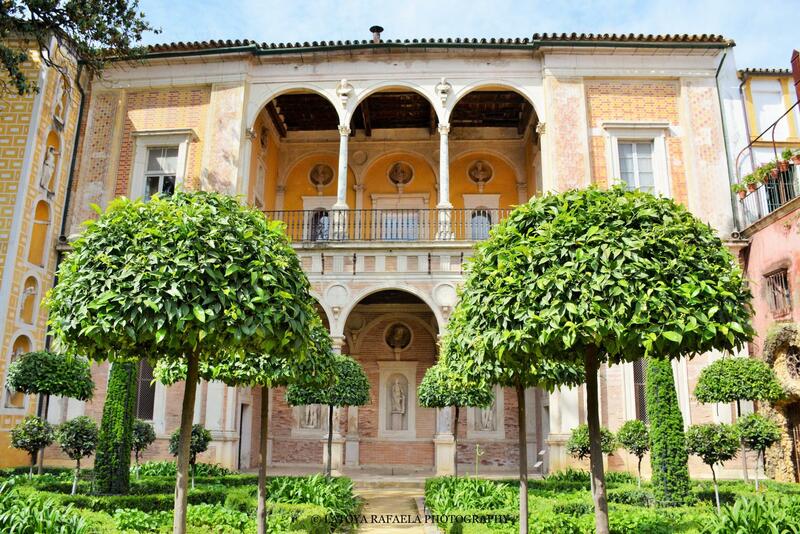 The Casa de Pilatos is considered one of the finest examples of Andalusian architecture of the 16th century. This bullring is considered to be one of the finest in Spain and is one of the oldest, biggest and most important ones in the world. The start of the construction was in the 18th century, but it wasn’t finished until 1881. 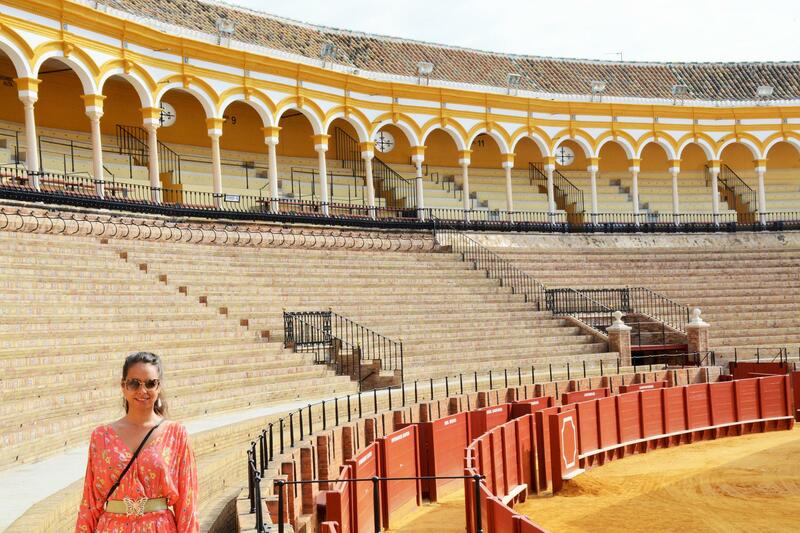 The beautiful arena is still used for bullfights ones a month, but on the other days you can just visit it for a tour. There’s a small museum situated inside the arena that tells you all about its history as well as the bull fighting. The tour will take approximately 30 minutes and includes the museum. The former Jewish quarter is famous for its great restaurants, tapas places and bars. It’s very popular by the tourists so prices are a bit higher than in other areas in Sevilla. Nevertheless it’s a lovely neighborhood to wander around in, with a labyrinth of narrow alleys, cute white houses and a lively atmosphere. Perfect for a lovely evening after a long day of sightseeing! 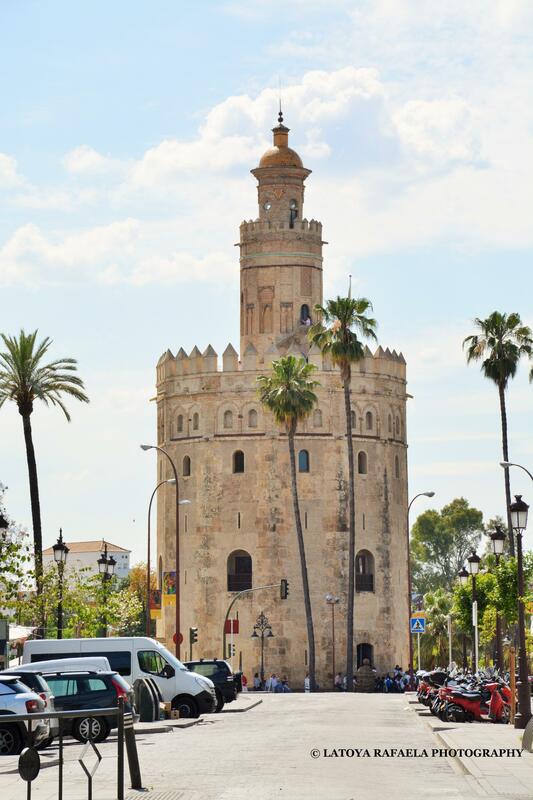 Situated by the Paseo Cristóbal Colón and the Guadalquivir, you can find this “tower of gold”. It thanks its name cause of the golden shine it projected on to the river. The tower was built in the late 12th century, as part of the Moorish city walls that defended the Real Alcázar. During the Middle Ages the tower served as a prison, nowadays the tower is a maritime museum. Though there are several options of public transport in the city, or the option of a “hop on and off bus”, all the places I visited can easily be done by foot. A weekend or midweek should give you more than enough time to see the highlights of this city and taste the atmosphere it’s surrounded by. 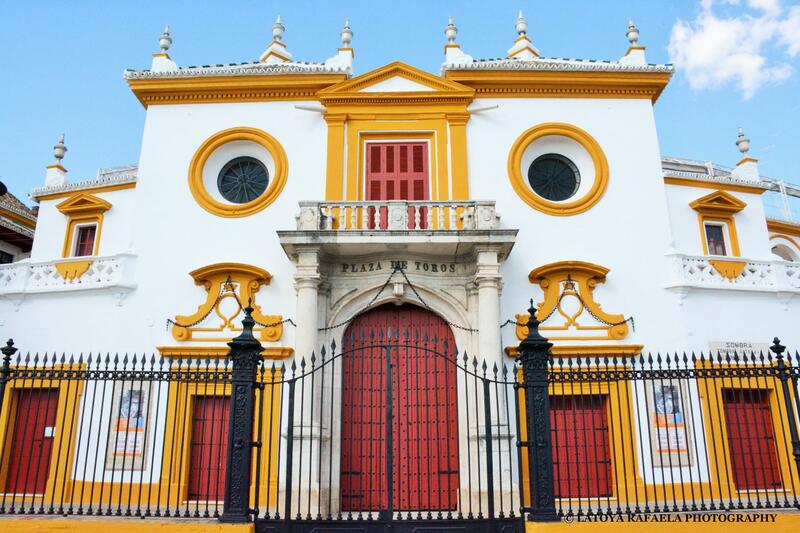 Sevilla has so many beautiful treasures to see. If you ever have the time to visit it, you definitely should! For more photos of my trip and my previous blogs, please visit my website. Don’t forget to leave me a comment or follow me on Instagram and Facebook and check out my monthly travel blog on Essere Moda or on www.latoyarafaelaphotography.com/blog. Sevilla is een aanrader hoor, krijg je echt geen spijt van. Hope you will get to visit this beautiful city! Your photo’s are amazing! Looks like a lovely place to visit. Thank you for the compliment Karen! Nice blog Latoya! 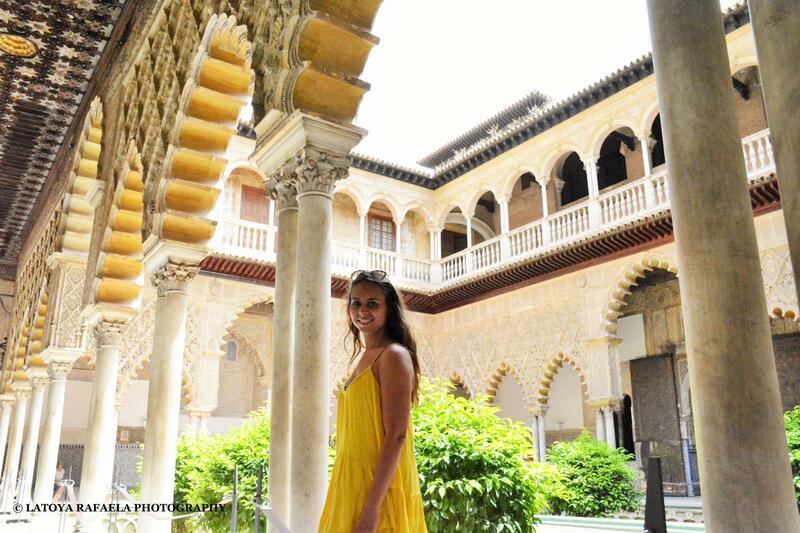 Love the photo’s make me want to visit Seville again. I totaly understand! I would love to visit it again!